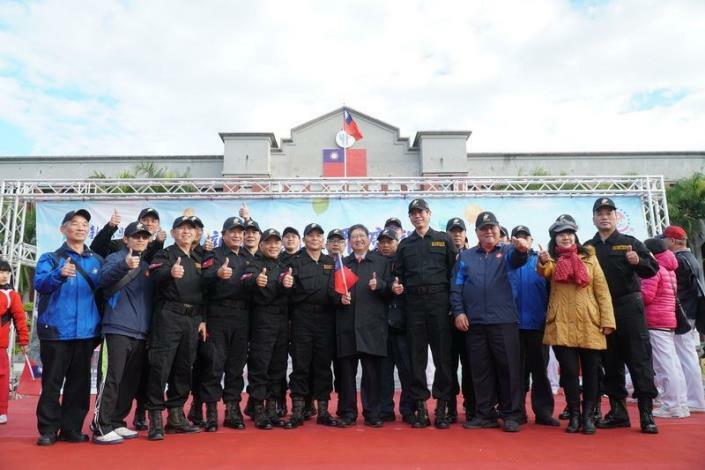 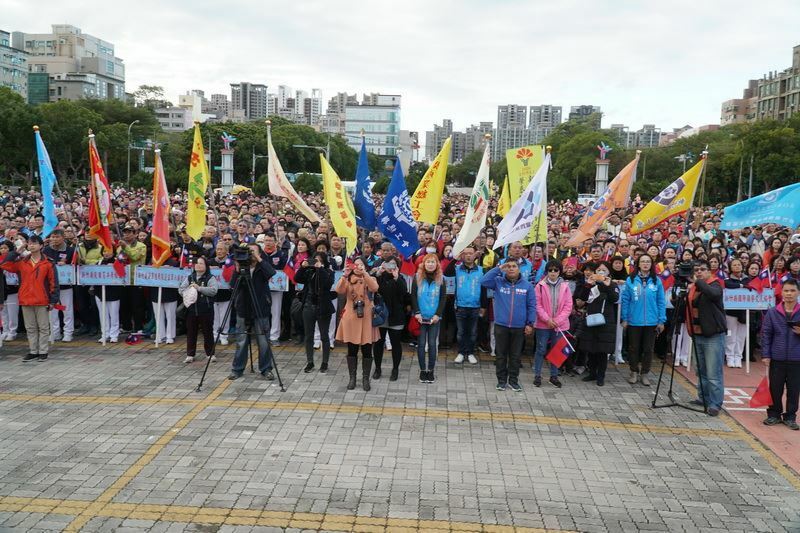 On January 1, Hsinchu County Government held a flag raising ceremony at the square in front of Hsinchu County Hall to celebrate the New Year's Day of 2019. 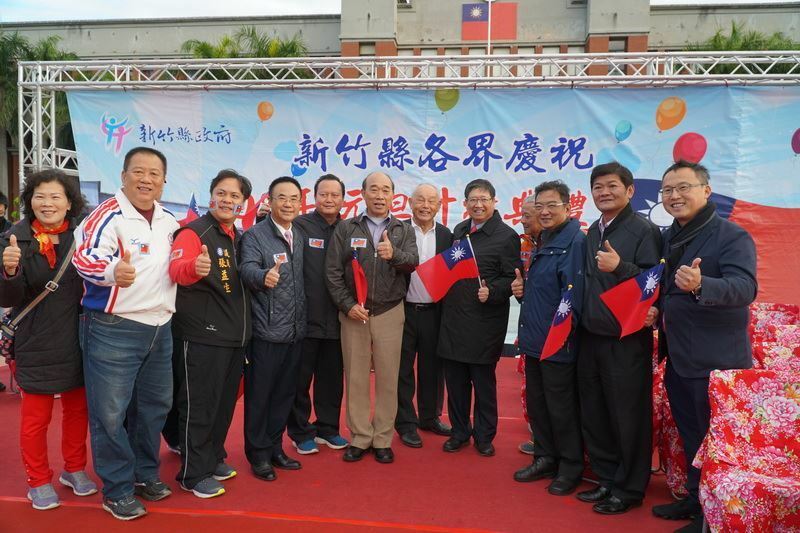 Magistrate Yang Wen-ke, who shoulders the responsibility to carry on with the previous policies and create future opportunities, hopes that all the citizens could strive together for the prosperity for the following thirty years. 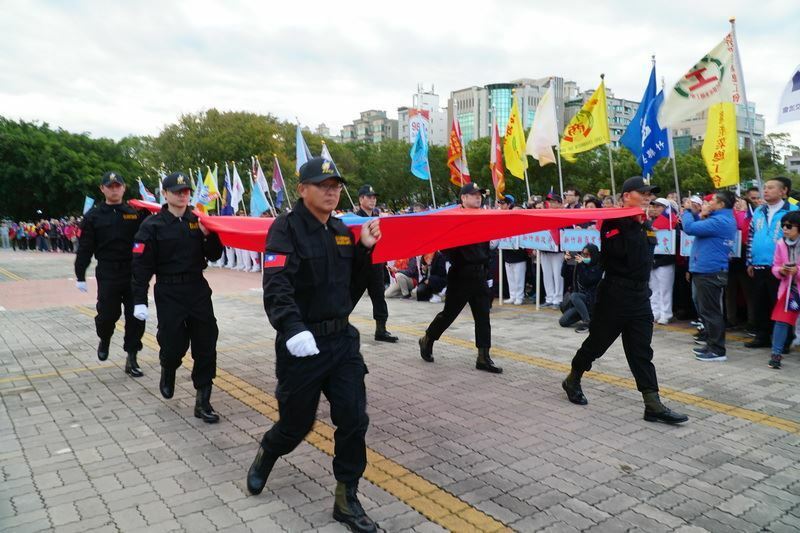 Despite the cold weather in the early morning, many people who held the national flags and wore clothes with national flag stickers came to attend the ceremony. Besides, Lawmaker Lin Wei-chou(林為洲), Council Speaker Zhang Zhen-rong(張鎮榮), Deputy Speaker Wang Bing-han(王炳漢), representatives and mayors from the 13 cities or townships, government officers and staff were present as well. 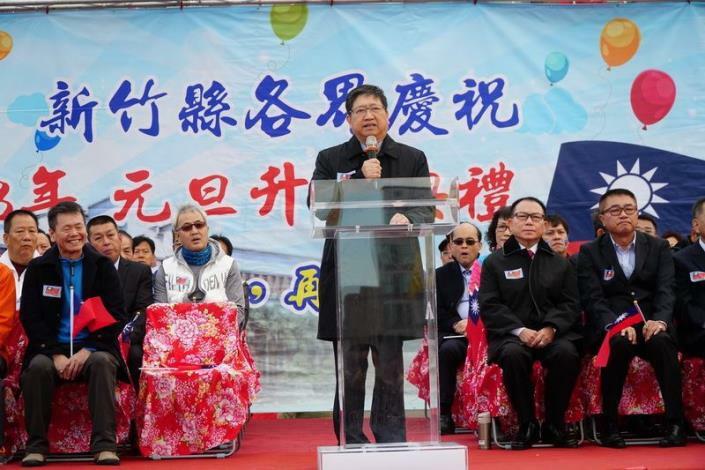 Magistrate Yang showed that he would bear all the citizens' requests in mind and endeavor to create an environment where people could live, study, and work in a carefree way. 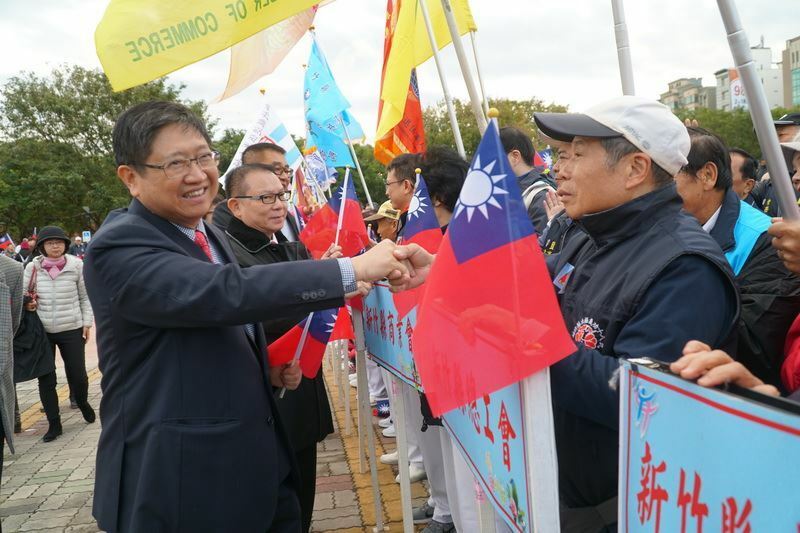 He also promised the county government would strive for the prosperity of Hsinchu County, and would cooperate with all the city and township offices to make it a better place. Council Speaker Zhang hoped that the county government and the council could work together to make Hsinchu County a big prosperous city. 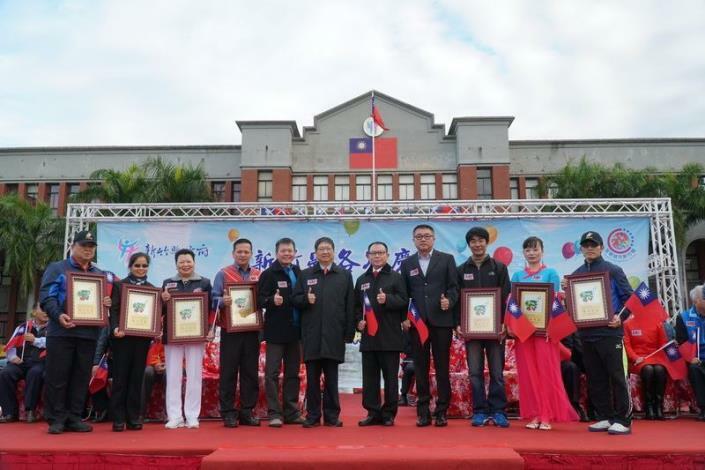 At the ceremony, Magistrate Yang also showed gratitude to those organizations involved in holding this annual event, including Marine Veteran Corps Association, the International Nature Loving Association, Hsinchu County Tai Chi Qigong Promotion Association, Hngyang Na Atayal Chorus, Feifeng Dance Troupe, Zhongcheng Qionglin Taekwondo Gymnasium, Hunan Community Development Association, and Hunan Junior Taiko Drum Troupe, by presenting them with appreciation plaques.